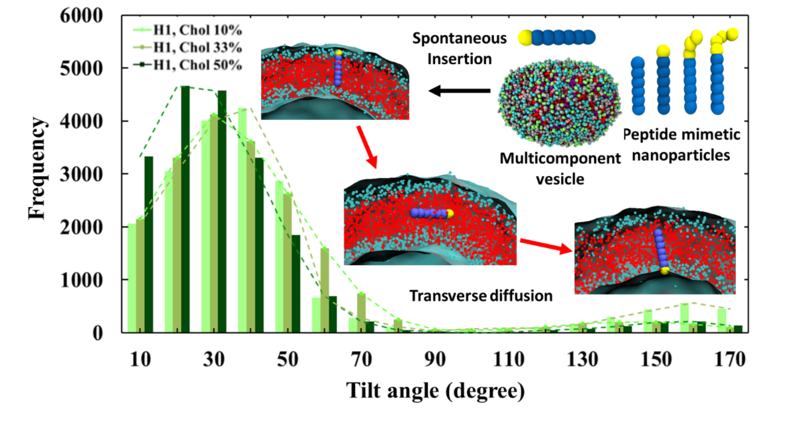 Determination of structural and dynamical properties of polymer based drug delivery systems: Coarse-grain modeling of a complex triblock copolymer. The interaction mechanism between functionalized nanoparticles and colloidal particles can be controlled via modulating steric hindrance for an effective delivery of drug loaded vehicles to the target cells. The insertion of peptide-inspired nanoparticle into lipid bilayer and subsequent orientation of NPs could be regulated throught the archetecture of the NPs as well as the lipid composition. 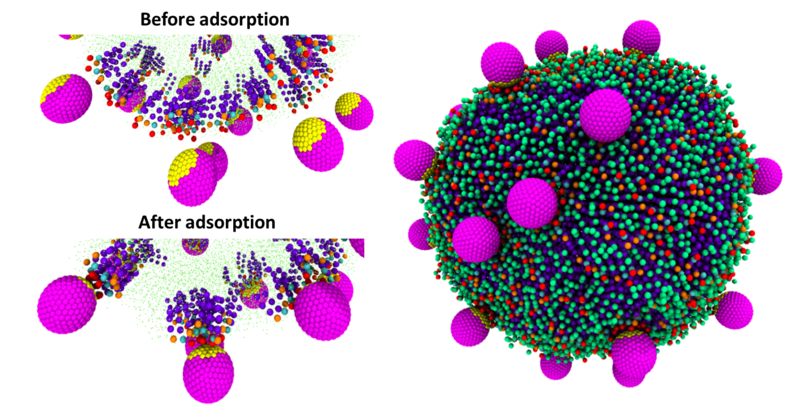 Designing soft nanomaterials via the self assembly of functionalized icosahedral viral capsid nanoparticles. Soft materials encompass a wide range of materials, such as polymers, colloids, foams, emulsions, gels and biological materials, whose properties arise from an interplay of processes across multiple scales. The objective of our research program is to develop computational methodologies and radical characterization tools to enable the design, conception and prediction of novel soft materials of specific structure and morphology, with controllable kinetic, thermodynamic, transport and mechanical properties. Our results can be used to guide the design of experimental systems for applications in medicine, sustainability and energy.